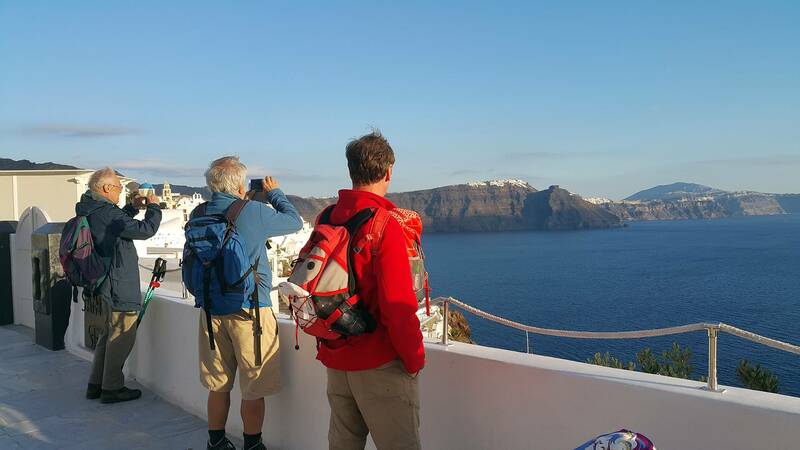 Experience the Santorini vibe in a completely unique way with a caldera hike tour. Spend your vacation taking part in exciting activities in Santorini’s rocky landscape and discover the most of the island through its ancient paths. 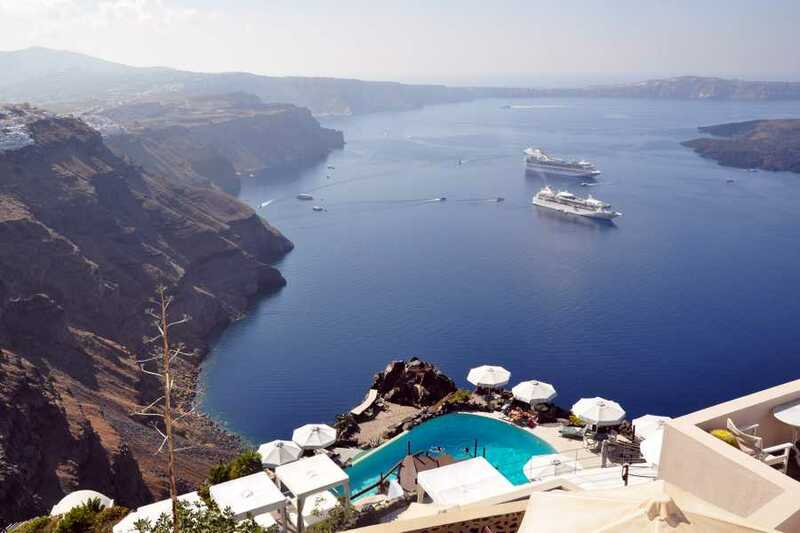 Santorini stands for one of the most beautiful destinations in the world. 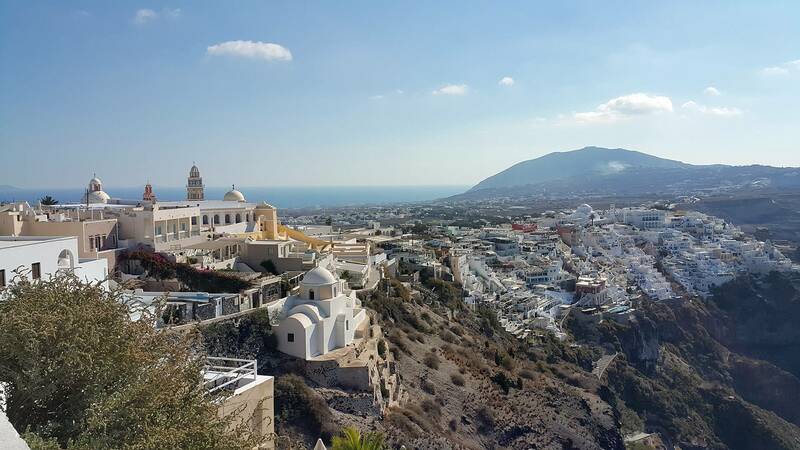 This volcanic island is located in the Cyclades area in the south of Aegean Sea. Because of its beauty, the whole island is considered a national treasure. No one can pinpoint whether its beautiful is a result of its unique landscape, light blue waters, one-of-a-kind atmosphere, or a combination of all three. No matter which one it is, it will most certainly leave you speechless. 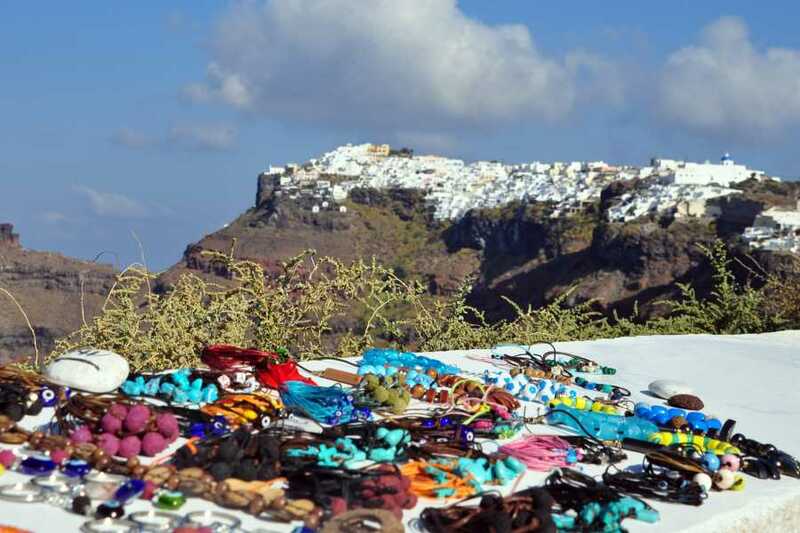 That is why we want you to discover and experience the true beauty and vibes of Santorini. 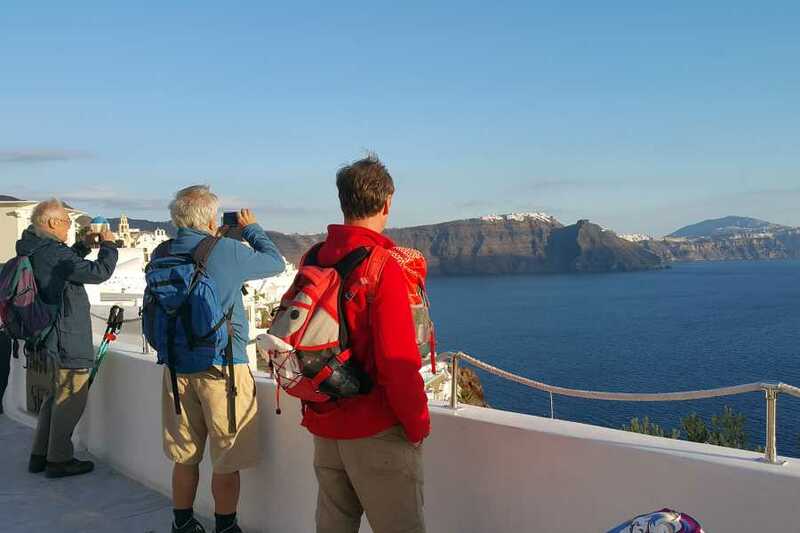 What better way to do so than hiking around the traditional authentic villages over the caldera, admiring endless views of the Aegean horizon. 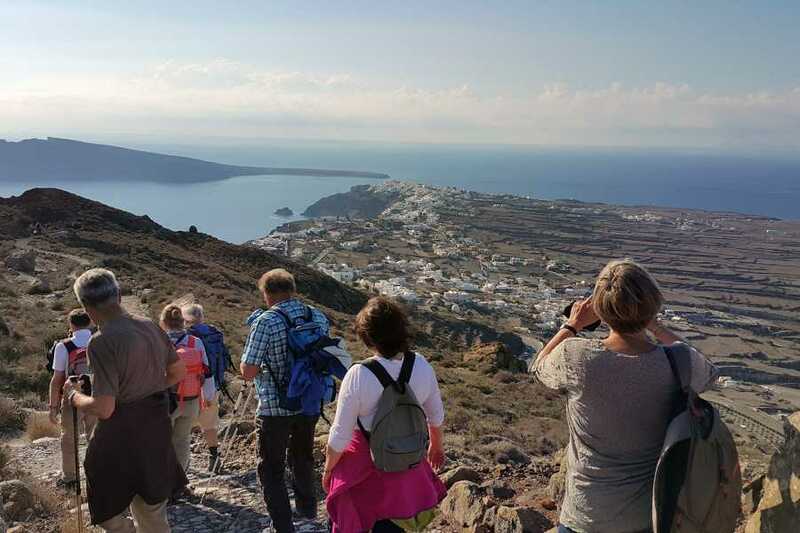 Spend the day hiking in Santorini through the centuries old paths and learn more about the stories and legends connected to the place. 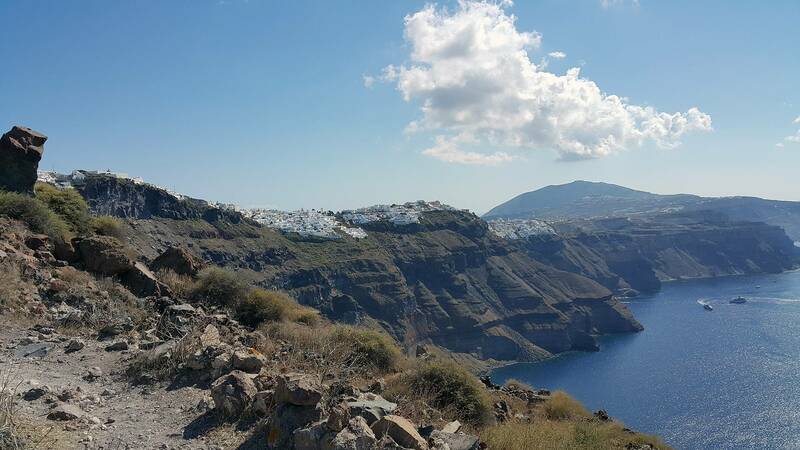 Nothing can be as relaxing as hiking the off road natural and peaceful environment of Santorini! 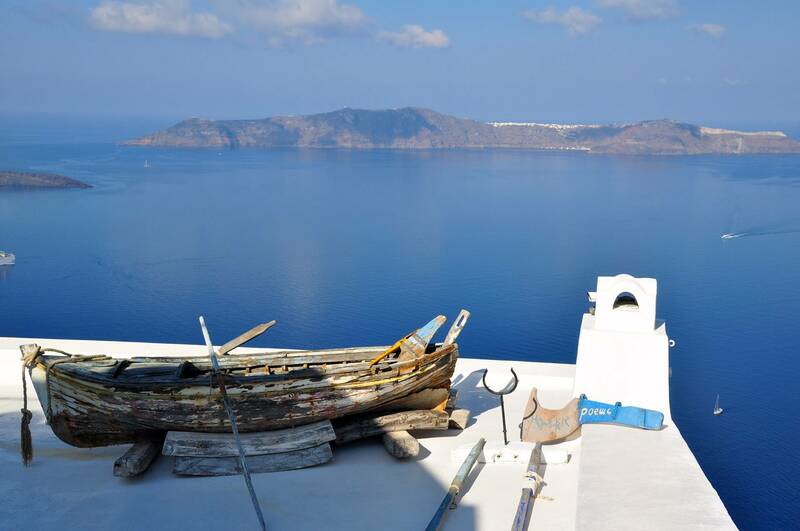 Make the most of your stay in Santorini by exploring every bit of the island’s mesmerizing sight. 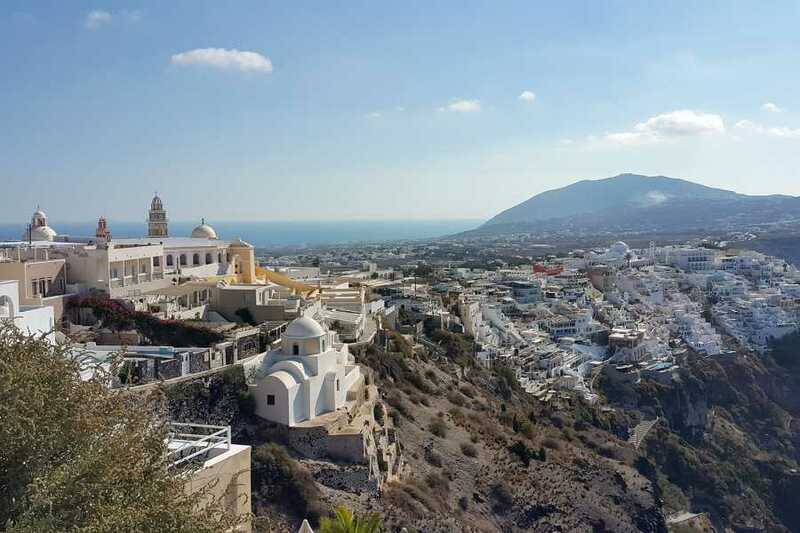 See the wonderful corners of the island’s capital and learn more about the Greek culture and traditions while visiting various charming villages. 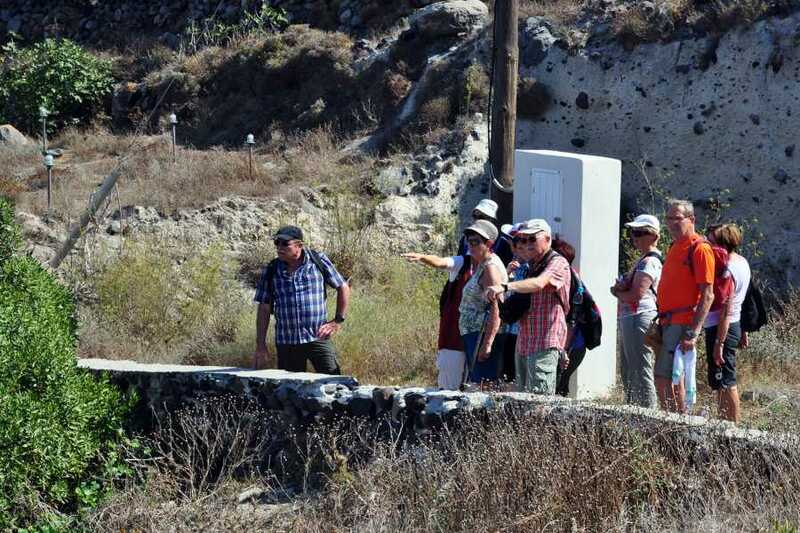 While hiking through the ancient paths you will learn all about the legend of Atlantis and how one volcanic eruption made the whole town disappear. 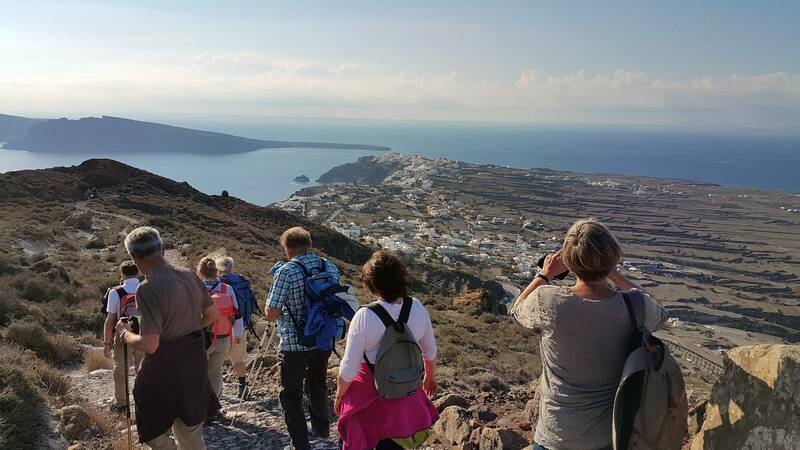 Santorini caldera hike tour is designed for every level of physical readiness, so no specific fitness requirements are needed. 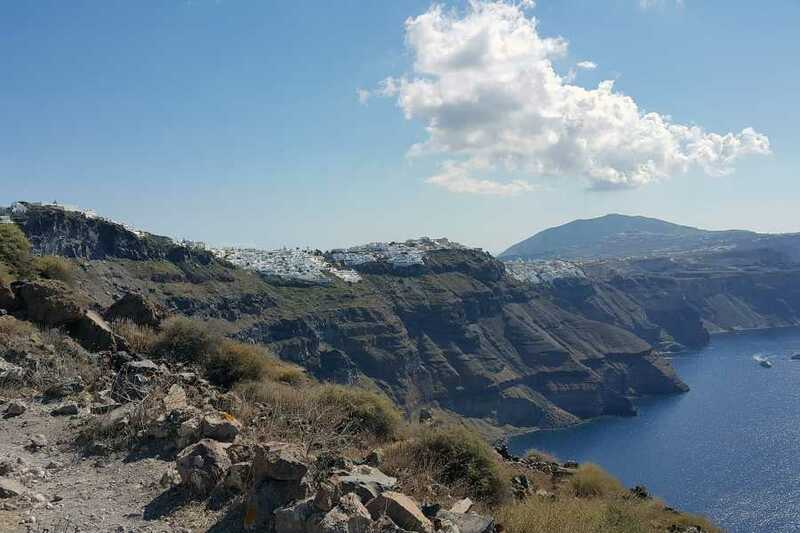 Our aim is to take you away from the hustle and bustle of the island and allow you to enjoy the wonders of Santorini in peace surrounded by the mesmerizing natural environment. 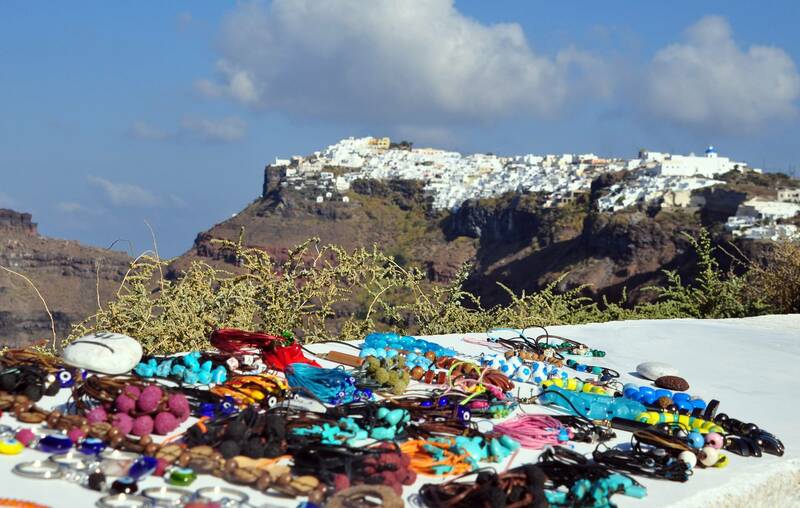 Finally, admire the incredible streets and corners of Oia village and let the blue and white cave houses beautify your Instagram feed! 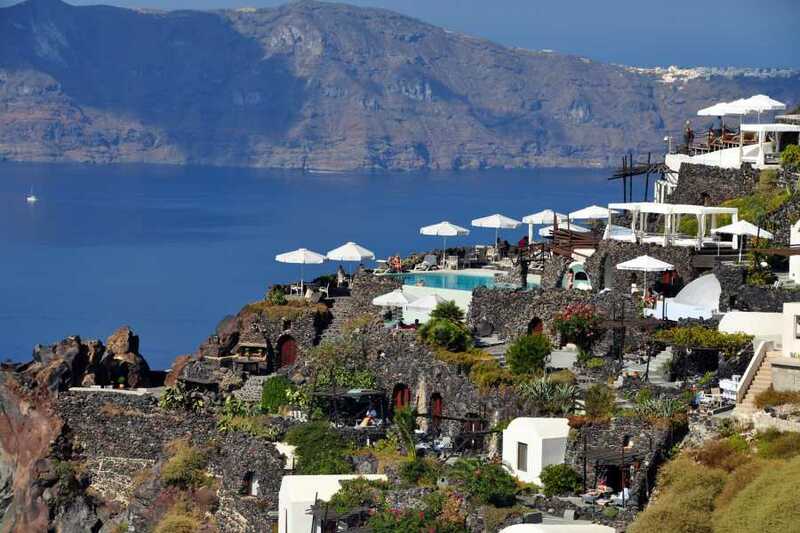 We will start our Santorini tour in the island’s capital while wandering around the main streets. Next stop of our adventure is hiking through the peaceful natural trails discovering gorge villages of Santorini. 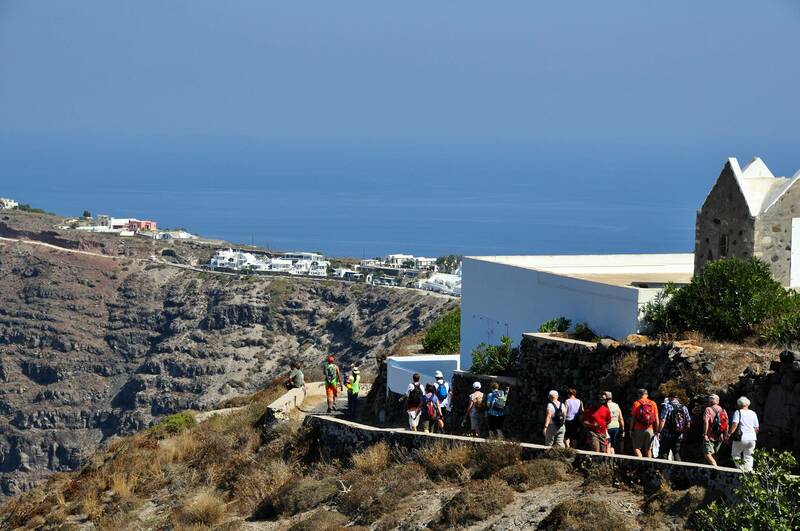 Finally, the hiking tour will end in Oia, one of the most popular villages on the island. Here you will be given free time to go around and explore the hidden spots of the village. After that, a bus will be ready to take you back to your hotel.